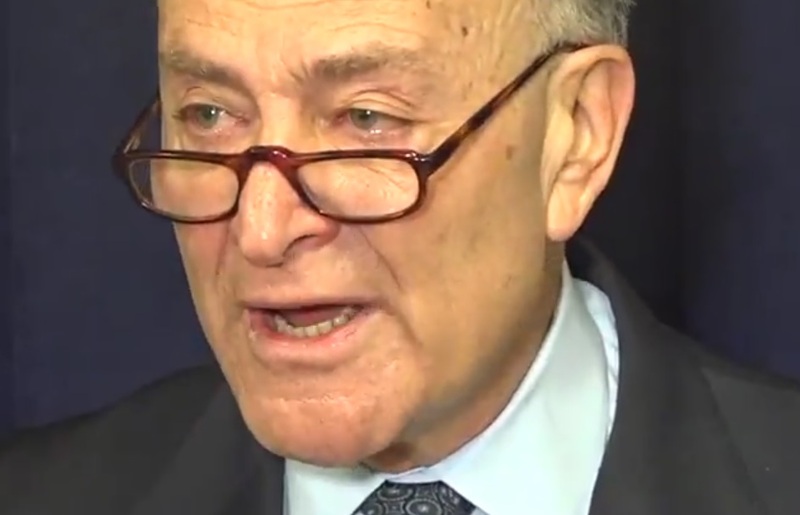 Chuck Schumer is now barking orders at the media. He wants the press to stop covering Spygate or to at least call it a lie when they do mention it. On Monday, while most Americans were remembering the sacrifice of fallen service members, Senate Minority Leader Chuck Schumer, D-N.Y., gave instruction to the mainstream media via tweet. The chief Democrat of the U.S. Senate wants President Donald Trump to be taken to task for using the term “Spygate” and insists that there is “absolutely no evidence of a spy” being placed in the 2016 Trump campaign. Memo to the press: When you quote the president saying “spygate,” it is only fair to immediately follow that by noting there is absolutely no evidence of a spy being inserted in his campaign. It seems to me, failure to do so is a disservice to your readers, viewers & the country. First, to quote the great Mark Levin, “the evidence is overwhelming” that there was an informant involved in disseminating intelligence about the Trump campaign to the CIA and the FBI. Both the New York Times and the Washington Post reported it. The Daily Caller connected the dots and identified Stefan Halper, a Cambridge professor with ties to the CIA and the British intelligence agency MI-6, as the “informant.” The argument over whether an “informant” is the same thing as a “spy” is semantics. Halper was tasked by the FBI to meet Trump campaign officials and report any evidence of Russian collusion (there is still no evidence so far). An individual who gathers intelligence and reports it sounds an awful lot like a spy. Will the media follow Schumer’s orders?